Cable Game insiders know that CNN’s Reliable Sources has been struggling. Last week Reliable had a decent showing but still lost handily to its main competition: Media Buzz on Fox News. This has been the rule rather than the exception. (Salt-in-the-wounds: Buzz anchor Howard Kurtz is the former host of Reliable.) 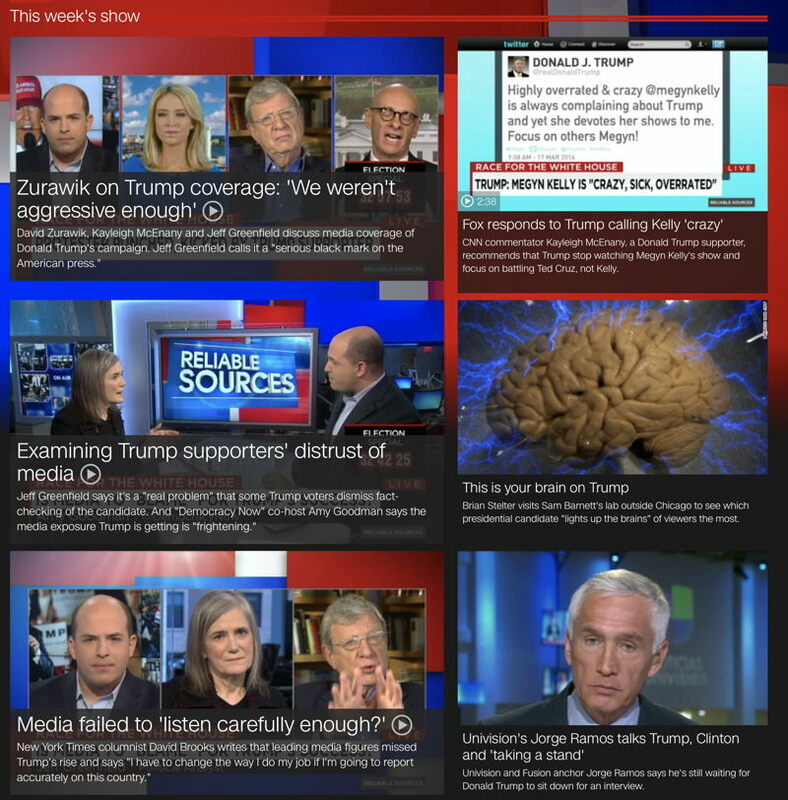 So the powers that be at CNN seem to think they can revive the flailing media analysis show using the same formula they use elsewhere: add plenty of Trump, stir, and serve while hot. And even when it’s not a “special edition” there’s still plenty of Trump on Reliable. 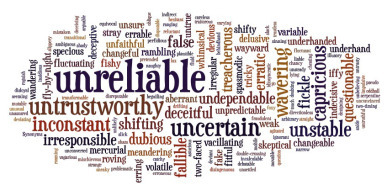 Last week, other than a brief discussion on the Supreme Court, Reliable was one Trump segment after another. STELTER: But the truth is when I watch those clips, I’m just glad I wasn’t on TV that day. I didn’t think Trump would actually head to the race. GIBBS: Yes, it was missed by everyone. It was missed by the media. It was missed by their donors. That is factually untrue, as readers know from our previous post. Meanwhile Will Bunch managed to kick off today’s discussions by stirring up a heady brew of racism, xenophobia, and Fox News. The Cable Gamer’s Magic 8-Ball sees more Reliable Sources hits in Will Bunch’s future. STELTER: I could definitely do with less of the wife wars. And that was that. You’d think a slander of one of their own commentators would get more attention from CNN. But they just didn’t have the time to discuss it. That breaking Spiro Agnew angle took precedence. I find fault with Howard Kurtz on Media Buzz as will with his strong pro Trump bias. But I still enjoyed listing to the discussions about Trump and Cruz in the first two blocks which consume 25% of the program. Kudos to Kurtz for not avoiding the National Enquire ‘rumors’ and having a guest from the NYT as well as a guest from the right — Gayle Trotter — who smartly discussed the two GOP front-runners without taking sides. Reliable Sources had a good panel as well with Trump surrogate Scottie Nell Hughes making a decent attempt to defend Trump without sounding like a sycophant. The Daily Beast’s John Avalon also offered just opinions on the GOP campaign that were fresh, setting him apart from your typical pundits. All things considered a pretty good day for both shows where there was more light than heat. Yeah, I’m a big fan of EDIT buttons — including Twitter. BTW, I agree that what Amanda Carpenter (one of my favorite non-flame throwers) experienced at the hands of Adriana Cohen was trully disgraceful. Ms. Cohen owes her an apology. Good luck with that.